• 1. Finding the right tree. – One of the most difficult tasks when using your portable tree stands is finding the right tree to secure your tree stand against. 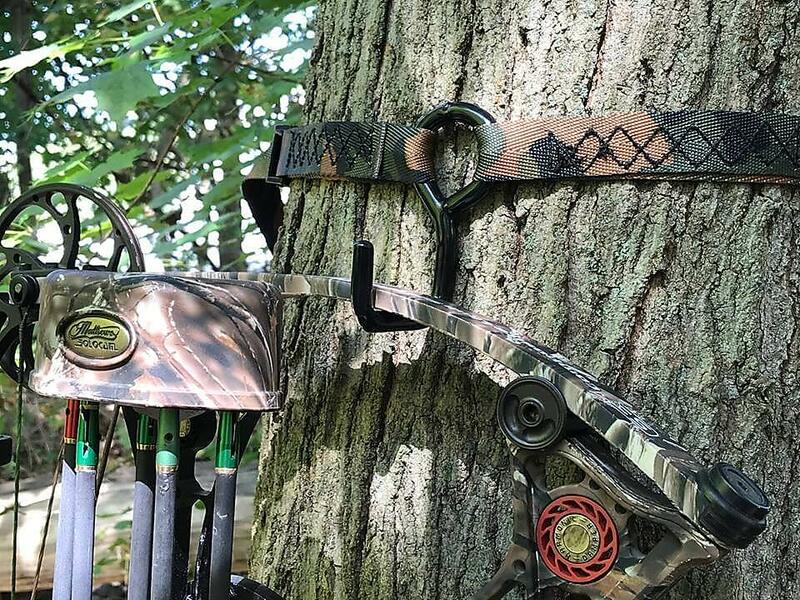 The most important thing to look for when looking for a good tree compared to a bad tree is you want the tree to be able to support you and your stands weight. It may be difficult depending on the area you are in the inside of the woods to find the perfect tree that is large enough to support your weight. Another thing to look for when finding the perfect tree is no low tree branches are around the bottom of the tree that could get in the way of your tree stand being set up. Another thing to make sure to look for on the perfect tree checklist is the tree is alive and healthy. If you see any signs that make you question the tree being alive, bad bark around the outside of the trunk of the tree, or any visible defects the tree is unsafe to use. Once you have found the tree that fits the requirements for a tree stand you are ready, to begin with setting up. Also be cautious to using any screw in or nail into the side of the trees stairs they can cause permanent damage to the trees as well as fines and penalties in certain areas. • 2. Checking the Weather – When going into the woods you should always have a glance at the weather to make sure the conditions when going out in the woods are ideal. Some of the weather conditions you will want to avoid when going into the woods include heavy winds, heavy rains, lightning, or any severe conditions that are not ideal. As trees are likely the tallest point in the woods they can be common to be struck by lightning. If lightning does occur in your area or if you hear the sound of thunder it may be a good idea to find shelter or a low lying place to make sure safety is your number one priority. Some of the weather conditions you will want to look for during a forecast is the temperature for the day – as well as the night if you plan on staying out for a longer period of time. This way you are prepared to be dressed properly to brace the elements. The radar to determine any potential storms that could form or are coming into the area. Lastly, the most important thing to look for when out in the woods is to keep an eye on the sky. If you see dark clouds rolling in or any potential signs of a storm it may be smart to try again another day. • 3. Move At Your Own Pace – Most mistakes that happen inside of the woods when you are being rushed to do tasks very quickly. The biggest thing to remember is to take your time and go at your own pace. When finding the perfect tree to use or when installing the portable tree stand together quality is more important than low quality in a short amount of time. Remember, you will be putting a lot of weight on both the stand and the tree so taking your time to make sure that all safety aspects of setting up your portable tree stand. 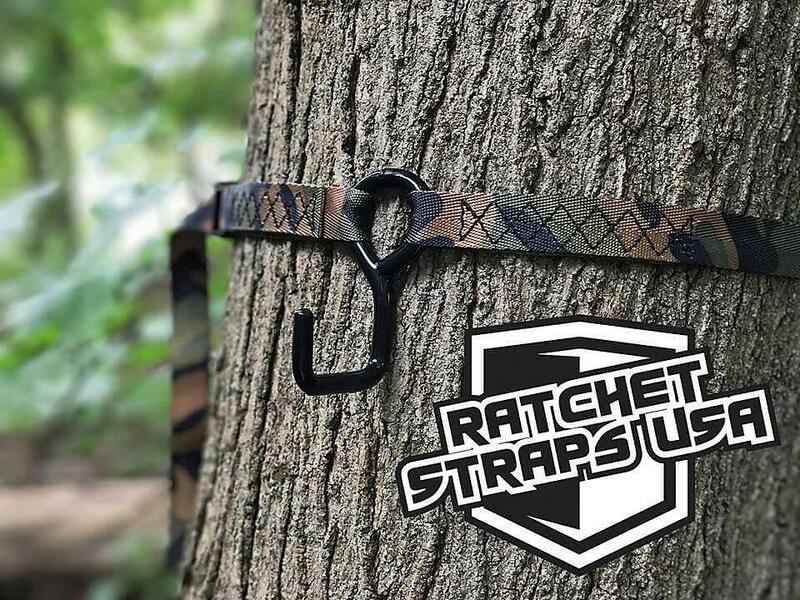 • 4 Reputable Tie Downs and Ratchet Straps – When setting up portable tree stands or hooks to hold some of your gear it is important to always buy reputable products from start to finish. There is a real danger for someone to get injured from equipment that can not hold up to the amount of weight of the treestand, equipment hooks, or even the stairs. Most of this can be avoided by setting up properly, as well as having quality products that will not fail. • 5. Scouting Beforehand – One of the most overlooked steps to take when using portable tree stands is scouting. What is scouting? Scouting is scoping out the elements before you grab your gear and get started. This can help you find trails, good trees, key hunting spots, as well as not being tired from carrying all of your hunting gear long distances. This may also give you an idea of areas to avoid when coming into the woods as well or paths to take to get to the spot. Some scouts will even mark the area with a bright color tie down webbing to remember where they were at for a later time. • 6. 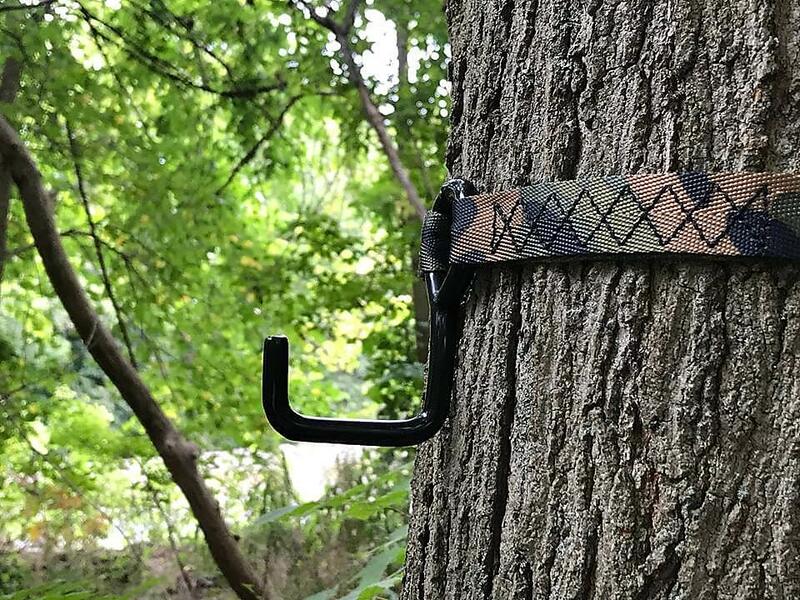 How to Secure Steps to Your Portable Tree Stand – One of the biggest issues when securing tree stands and saddle platforms for hunting or outdoor fun are doing it properly. In this video today from one of our happy customers will go through and show you how our straps with our black rubber ratchet were able to help with their saddle platform needs. As you can see inside of the video that not only can our 1-inch tie downs although they are small hold more than enough of the weight of a person, it also shows that you can secure these to the trees tightly. • 7. Inspecting Your Tie Downs – Lastly and potentially one of the biggest tips that should always be followed whenever using any securement is inspecting your tie down straps or other equipment before use. 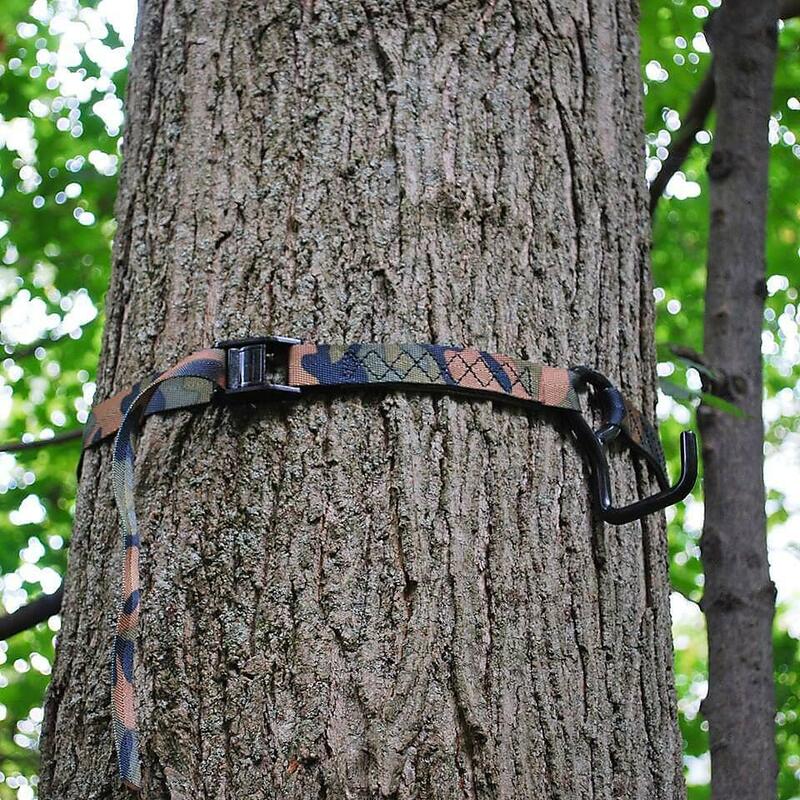 When in storage both tie-down straps and tree stand equipment can become damaged with age. A quick glance over all of the products you intend on using can go a far way in terms of safety. Some of the things you will need to look for are visible defects such as dry rotting, holes in the webbing, burns, mold or mildew if you are using tie-down straps these can greatly weaken the strength. We wanted to give a quick thanks to WideOpenSpaces for the inspiration to some of the tips used in todays blog. Make sure to also check out there website if you are curious to see some more great hunting tips.